St Martin renounces his weapons. This week is the feast of Martinmas which begins on the evening of the 10th November. It is a festival, like many Christian celebrations, whose origins go back centuries before Christ. Martinmas quickly became established in the Christian calendar as the day when the work of killing and preserving of meat for winter began, and the community feasted before the 40 days of St Martin’s Lent or Advent. 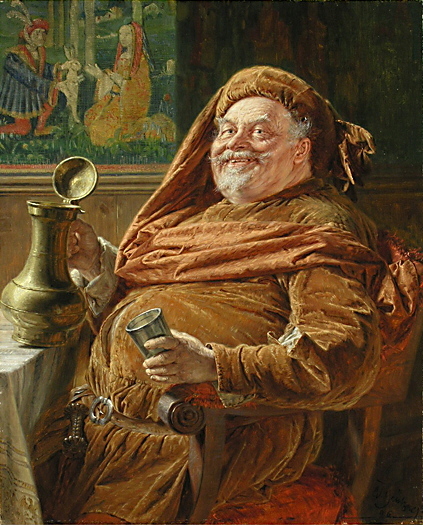 In Shakespeare’s Henry IV Part 2, Falstaff, is referred to as ‘the martlemas’. The ‘Martlemas’ or ‘Mart’ was an ox or a bull that was fattened and slaughtered for the Martinmas feast. In some towns and villages, the bull would first be run through the streets. Writing in 1646, Richard Butcher described the running of the martlemas in Stamford, Lincolnshire. The butchers provided the town with the wildest bull they could buy. The bull was released and the townspeople gave chase, trying to kill it with wooden clubs. Iron weapons were forbidden. The bull was then roasted and eaten, washed down with plenty of strong drink, for St Martin was also patron saint of wine growers and protector of the inebriated. The legend behind the bull running, which was probably derived from a pre-Christian custom, was that St Martin had encountered a wild cow possessed by the devil which he had exorcized. Of course, it is likely that this tale was created to explain why it was auspicious to begin the slaughter of livestock on this day. 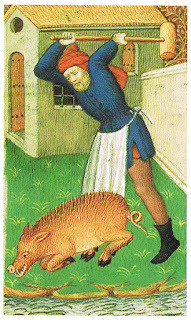 Pigs were also butchered and gifts of sausages and black puddings at Martinmas were known as ‘pig cheer’. Fixing a seasonal activity like ploughing, sowing or slaughter to a well-known saints’ day ensured the vital task was blessed and protected by that saint. It also helped to co-ordinate community life, so that everyone in village knew exactly when it would begin, and equipment could be made ready. Right up to the end of 19th century there are reports of this being done to ward off the spirits of the dead who couldn’t find rest. If the family had no animal, someone would cut their own finger instead. A piece of cloth was also dipped Martinmas blood, dried and used in the coming year to press on the body to relieve pain while a prayer or charm was recited. 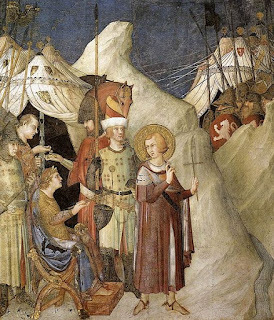 There are several different versions of how St Martin met his death which in the Middle Ages gave rise to a number of superstitions connected with the festival. In one version, the saint plunged into a millpond and was killed by the turning waterwheel, and for many centuries it was considered unlucky to carry out any work that involved turning or grinding on this day. This meant people didn’t grind flour, spin wool or put to sea to fish because the boat would have to turn to come back. 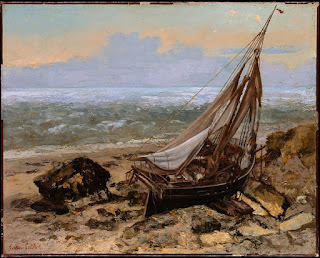 An account published in 1867, tells of some Wexford fishmen who spotted a great shoal of herring offshore on St Martin’s Eve and foolishly put to sea. 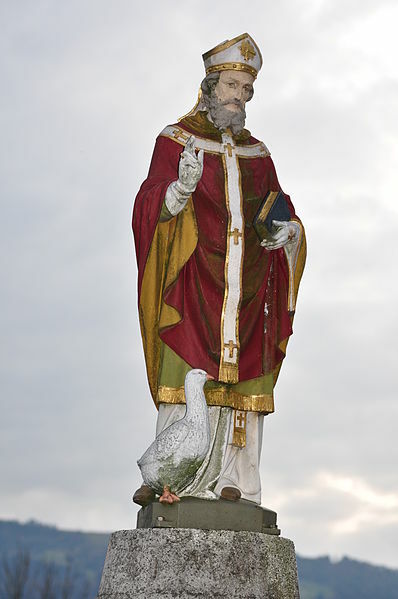 The ghostly figure of St Martin rose from the waves and pointed thrice to the shore, before sinking again. 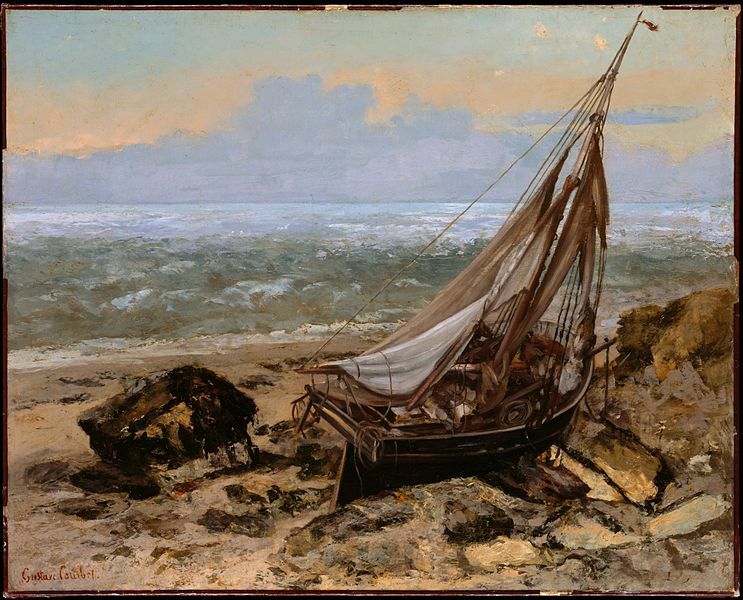 Two boats heeded the saint’s warning, cut their nests loose and returned immediately. The others continued to haul in the huge catch, but a violent storm sprang up, their boats overturned and 70 men drowned. On the Aran Islands, west of Ireland, there was a legend that St Martin begged for food at the door of a woman who was so poor she had nothing to give him, so she sacrificed her child and boiled the infant to provide meat. But after he left, the child was found miraculously asleep in its crib. Families on the islands used to slaughter an animal on Martinmas in memory of this miracle, and anyone who came begging at their doors on St Martin’s Day was offered roast fowl or goose. 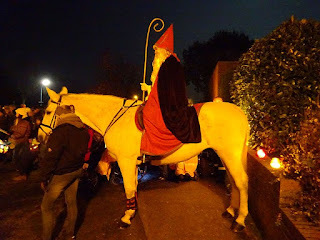 In Germany and Holland, the festival had been traditionally celebrated with bonfires on Martinmas Eve and with lantern parades led by ‘St Martin’ on horseback. But the Reformation in 16th century meant that in Protestant countries, Catholic saints could no longer be celebrated. But recognising they could not supress such a popular festival, the ‘Martin’ who was celebrated on ‘Martin’s Day’ became instead, Martin Luther, the German founder of the Protestantism who was born on November 10, 1483 and, according to legend, was baptized on the 11th November. The final twist in this blood-drenched festival was that the 11th November 1918, was the date chosen for the guns to fall silent at the end of World War I – the day dedicated to the saint who was a solider in the mighty Roman army and who laid down his weapons, declaring he would fight no more. I had never known this connection to the Armistice; the only explanation I've ever come across is 'the eleventh hour on the eleventh day of the eleventh month." The saintly connection seems far more significant.